A clutch of bands providing a breath of fresh air to the indie circuit from Getintothis’ Helen Rabbitt, who introduces us to the youthful sounds of the revived Liverpool music scene. 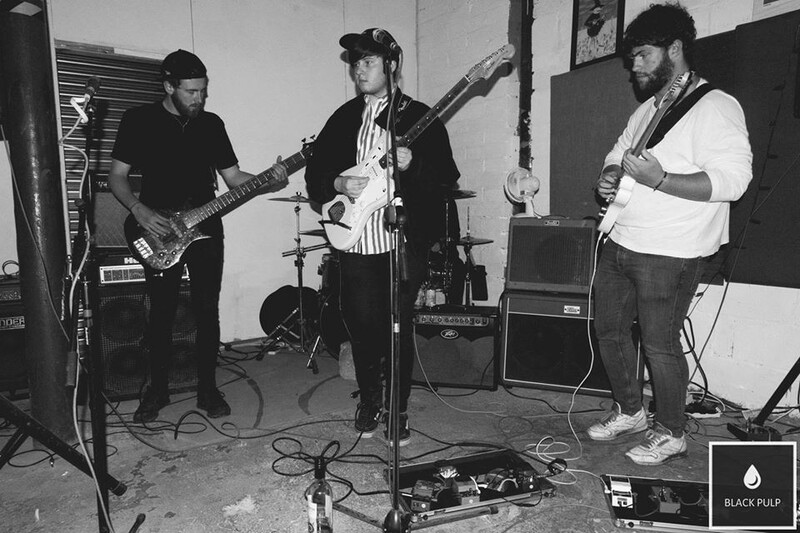 From a Liverpool-based four piece determined to curate a juicy storm in the coming months, a band crossing between the musical goodness of Manchester and Liverpool, to hypnopop from Madrid that may be your cup of Sangria. Getintothis has plenty to Introduce you to this month, so commence your investigations with these three acts. Emerging from the Liverpool music scene, Jack Smith, Sam Holt, Matt Bayliss and Ste Williams make up Black Pulp. 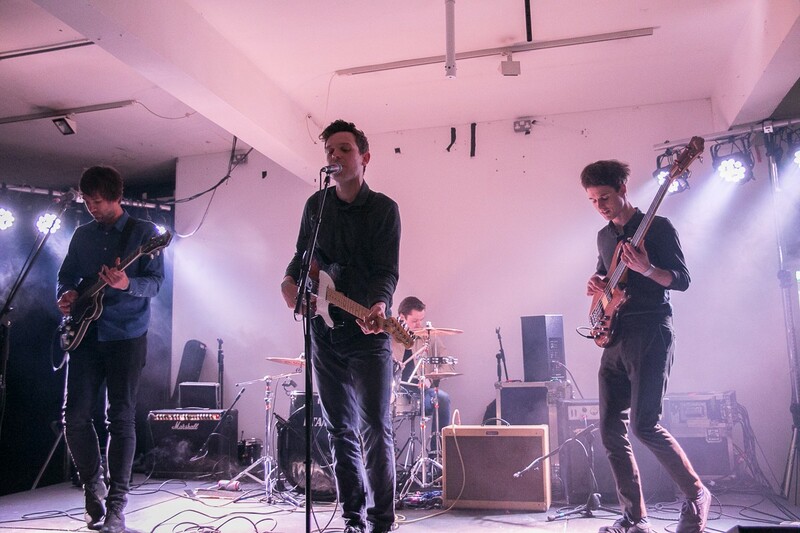 Debut single Vapour kicks in with a bass tingling intro similar to the energetic early days of Peace and Foals before the teen angst lyrics ride in on polished vocals from lead singer Smith. With poetic lust wrapped around bittersweet mentions of Joy Division this track proves that Black Pulp are a worthy catch for the alternative genre. This band don’t just ooze excellence in recorded material but also know how to smash a live performance with recently ripping up the cobbles of Kitchen Street and tearing the roof off Maguires. The bond between members showcases the exquisitely tight instrumentals with harmonious showmanship springing the crowd into the centre of the action. With shows lined up for the Autumn/Winter months, these boys are making sure they make their mark in the city before they leap into 2017 with an upsurge of fans and astounding appreciation swooning off the back of their debut. 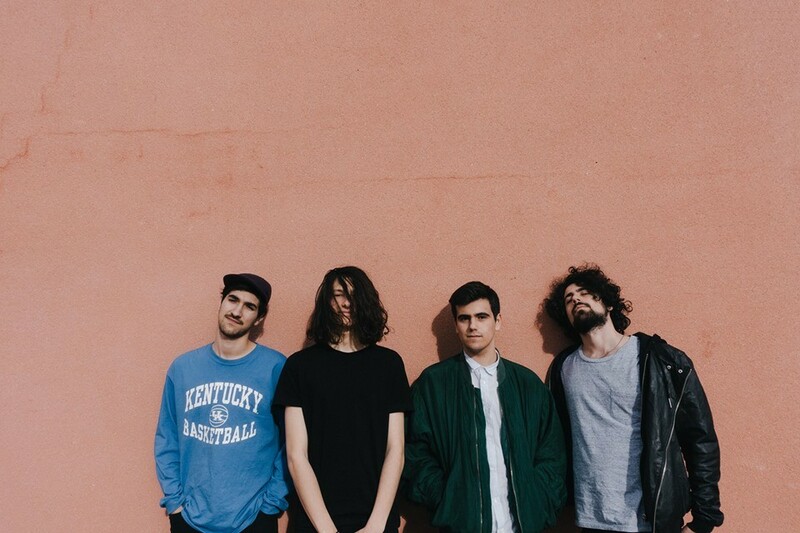 A four piece that radiate the vibes of the sunshine, Baywaves‘ psychedelic sound floats them alongside the likes of MGMT and Tame Impala with a breeze of individuality that puts them forward for a class act of 2017. Their most recent EP release Only for Uz pinpoints this collective as a special sense of fun as their songwriting speaks that of a dreamstate and combined with groovy guitars creates a magical musical masterpiece. 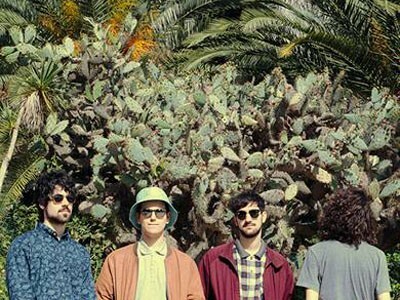 One of the tracks featured, Marsupilami is mixed by King Gizzard’s Joe Walker and is rightly described as sunny making it the perfect soundtrack for sinking back a bevvie whilst the rays are cracking flags. We champion new artists every week here at Getintothis – check them out here. Baywaves are newcomers known to put on an incredible live show as they dive into the trippy set with everything they’ve got, opening a gateway for the crowd to escape from reality into a fantasy of cognitive colour and glittering synths. Transporting their sound over to the UK in the next couple of weeks for shows in Birmingham and London, it’s only right the nation gains a little bit of sunshine we deserve and Baywaves are the perfect remedy prescribed. Inhale groovy, grinding guitars and exhale raw storytelling vocals and you have yourself the perfect respiratory cycle of LUNGS, these are yet another fresh sound that the alternative circuit are going to welcome with open arms. Tom Hammersley, Mark Cuppello, James Feltham and Daniel Donohue combine their individual sounds to hypnotise the powerfully influential beats similar to that of The National and emotions like the bliss of recent Radiohead. With recent single Seagulls released at the end of July and featured in our very own Singles Club it is without a doubt shared response that this band are a hot cultured tip for 2017. Seagulls is a cleverly curated track which demonstrates exactly how musically clued up this band are. Saturday, November 19 is a date all Scousers should keep free as the band flirt with the fans’ delight of a long awaited headline show and are sure to show this city firsthand what to expect in the future triumph of LUNGS including planting the seed of a potential class album soon to grow.